Renovating Helps Customers to Not Judge a Business By Its Doors | McKee-Horrigan Inc. Many people yearn to live in a time where people only judge people based on the content of their character, and not their looks. “Don’t judge a book by its cover!”, or so the saying goes. The idea is that you should appreciate a person’s inner beauty and their skills, and consider their looks and appearance as a secondary factor. This is a valid idea – after all, how many times has someone been cruel to you because of some minor flaw in your appearance? On the other hand, people ignoring aesthetic appearance is incredibly unlikely to ever happen. Humans are very appearance and visually focused creatures, and we look at the flaws and mistakes in the exterior of people before we venture on to learn the interior. This is especially true when it comes to a business. When you’re a customer, spending your money in the right place is incredibly important. Money is a finite resource, and you don’t want to go wasting it away on an effort that doesn’t quite work out. People are picky on how they want to spend their hard earned money, and they generally don’t like to play with fire by engaging in businesses that don’t immediately inspire trust. When people are looking for a service to help them with something they can’t achieve alone, or a product that fulfills a need that is otherwise neglected, they will inevitably judge their options based on the outer looks. When people are looking for a business to take care of their needs, they may look to the face of your building. Will your business make a good first impression? If you’re concerned that customers aren’t making it past your front doors, it may be time for some renovations. 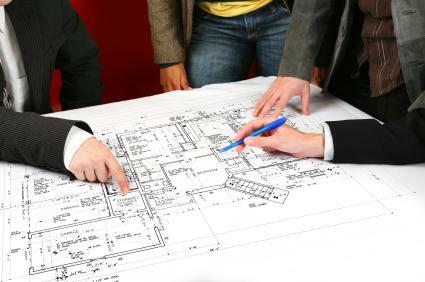 Commercial renovations are the best service you can use to give your building’s face an overhaul. An ultimate makeover might make a run down, aged looking business building into the most distinctive and sharp place around! Whenever you watch a Hollywood blockbuster that involves a business or company to some capacity, take a good look at the architecture and construction of the buildings. If they are trying to show that a character runs an unsuccessful business that isn’t doing so hot, they’ll use a run down, cracked, cramped, or otherwise visibly unappealing space. Audiences immediately understand the intent – this is clearly a business that no one visits! Meanwhile, if they want to show a successful company that holds a monopoly on their field, they’ll have a gigantic building decked out to the nines. Your building’s exterior is the face to the world, and people see it as shorthand for your business’s integrity and success. Commercial contractors know this better than anyone – they’ve provided overhauls to the front exteriors of buildings that were watching customers turn away in disinterest. Don’t let this fate happen to you! Commercial renovations turn a building that looks mediocre into a building that intrigues customers and tempts them to spend their hard earned dollars on your product or service. Have you ever walked past a store that has the distinctive shape of an old Pizza Hut? You may have noticed that over what the actual business was selling. Have you ever noticed a store with an exterior that was clearly built and designed decades ago? The effect is about the same as seeing someone with an ’80s perm, bright neon clothing, and hammer pants. You want customers to get the best first impression possible, and that means having an exterior that demands their attention and doesn’t hold a spectre of the past. Commercial renovations are the best way to make an exterior for your business that raises customers’ interest without raising their eyebrows. Sadly, people can be shallow. You may have the best service or product on the block, but you may just not be able to coax customers or clients into your shop. This is an inevitable psychological hurdle when you’re dealing with people. In a perfect world, you could run your business out of a cardboard box and have nary a word said about it. This is not a perfect world. You need commercial renovations to bring the exterior of your building up to par, or you’ll suffer the consequences of customers turning away. There’s a reason behind this bias – people are more likely to show interest in a place that looks neat and current, as opposed to a business that looks behind the times. Customers form cognitive biases based on their subconscious feelings, and these biases are incredibly hard to break. Don’t fight this complex system. Work within it, and you’ll earn the trust and respect of your customers before the transactions even begin. Commercial renovations trigger cognitive functions in customers’ brains and unconsciously make them more interested in your product or service. Your product or service may have been honed to perfection, you may have taken the time to hire the best employees possible, and you might have trained your staff to respond to any possible scenario. All of these things may go down the drain if your business’s exterior isn’t up to scratch. It’s important to make sure that you do things right, and part of that is showing an exterior that gives your customers a positive association with your business. Take the time and effort to find commercial contractors that can help you bring the face of your business up to date. Customers will come in the door faster than ever, and you’ll be glad you made this essential investment. Commercial renovations are an investment that ultimately allows you to reap higher profits and returns. Don’t allow your business to be dragged down by a ragged exterior; just rise above it by working with the professionals. A great exterior will only lead to a better business overall. For more information on having your storefront and business’s exterior renovated and upgraded, contact McKee-Horrigan for a quote and a conversation about your needs.